Carrie Goes Off the Map is a very enjoyable road trip novel through England. Carrie is two weeks away from marrying her long-time boyfriend Huw, when he drops a bombshell; he is breaking up with her. Carrie had put aside her own dreams of becoming an actress for Huw and had spent the years since graduating from college helping Huw run his family dairy farm. Suddenly, without a purpose in life, Carrie moves in with her friend Rowena and tries to determine what her next move will be. Rowena tries to cheer Carrie up by planning a European road trip in a vintage VW camper named Dolly. Unfortunately, Rowena is unable to go at the last minute and has found a new companion for Carrie, the handsome Dr. Matt Landor. Matt is back from his work in Tuman after an unfortunate accident. Commanded to take four months off to rest and get himself together, he is not sure what he is going to do with his time off. Matt was friends with Huw back at the University, and after meeting Carrie again at a bad moment (it’s a classic moment in the book, I don’t want to ruin it for those who haven’t read it yet!) he is officially intrigued. Together they go on a tour of Southern England and learn how to move on with life. And also learn more about each other. I really enjoyed this book. At one point, a barber cuts Matt’s hair and says that he looks like a modern-day Mr. Darcy. There were indeed elements of that classic story in this book with Carrie and Matt meeting again after so many years and having a misunderstanding that sets the two at odds at first. Carrie was much more against Matt than he is against her. Their delightful friction kept me entranced throughout the book. I also enjoyed the description of the road trip in the campervan. It sounded like a lot of fun. Phillipa Ashley traveled in a campervan as part of her research for this novel. I also really liked an odd thing, that Huw was a dairy farmer. The descriptions of the mega-farm and life on the farm reminded me a lot of life around Wisconsin, AKA Dairyland, USA. It made me realize that things are really not that different between the United States and England. It was funny that HUW was considered quite a catch as he was a rich farmer, which is the same as some of the farmers in my county who are millionaires. Family farms are not the same as they used to be anywhere anymore it seems. Overall, I found Carrie Goes Off the Map to be a delightful book with great characters, romance, and a wonderful journey. 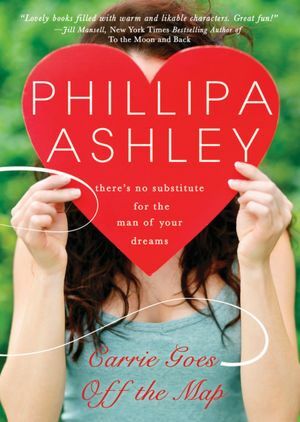 Phillipa Ashley has become one of my new favorite contemporary romance authors. This review by Laura Gerold was reprinted with her permission. You can see more of her interesting and helpful book reviews at Laura’s Reviews, http://lauragerold.blogspot.com/ . Carrie Goes Off the Map is available as an e-book (Kindle Edition and Nook Book) download. Phillipa Ashley is also the author of Decent Exposure: A Novel. We are here continuing our interview with writer Maddie Dawson, author of The Stuff That Never Happened: A Novel. In this concluding part of the interview, the questions were asked by Joseph Arellano (JA) and Kimberly Caldwell (KC). 4. JA: When I was writing music reviews in college, I loved to read interviews in which musicians cited their influences, idols and role models. (I would then go and listen to those other musicians to see if I could hear the connections.) With this in mind, which authors come to mind when you think about who has influenced you? 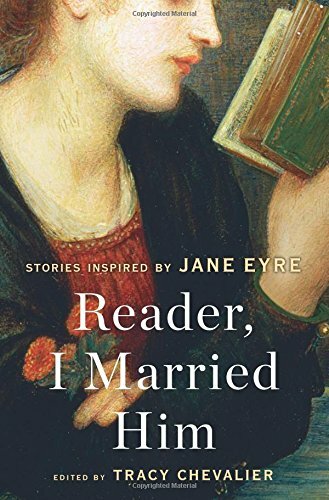 MD: I love writers who really explore the complexities of relationships and the inner lives of their characters – writers like Alice Munro, Amy Bloom, and Anne Tyler. (Hmmm, a lot of A’s there.) 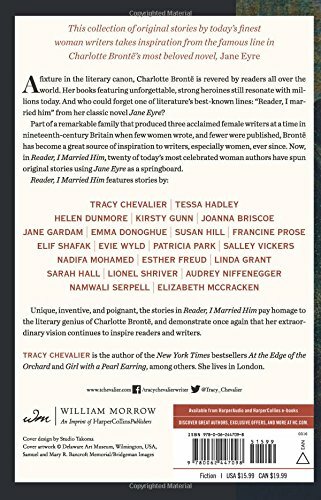 I also love so much of Jane Smiley’s work, particularly her early novels – and I love Anne Proulx’s short stories and her descriptions. I believe that life is a mix of humor and pathos, that the hilarious gets mixed in with the mundane and the tragic on a daily basis, so I adore the work (particularly the non-fiction) of Anne Lamott who is just so honest and real. I love the wordplay and intelligence of Lorrie Moore’s work, and I’m constantly awed by the humorous work of modern male writers like Mark Haddon, Nick Hornby, and Jonathan Tropper. 5. JA: Is there a particular novel that you’ve read in 2010/2011 that seemed to be exemplary or mind-blowing? MD: I’m so glad you asked this question, because I was completely blown away by A Visit from the Goon Squad by Jennifer Egan. The complexities of that novel, the ins and outs of the plot, the depth of the characters: I found it truly mind-blowing. 6. JA: What’s either the best or the hardest thing about publicizing your own work? MD: Ack! Getting the word out about a book is such a huge task for authors these days. I love some aspects of it – the social media stuff, the connecting with readers, the skype-ing with book groups and the constant feedback from people who have comments. But other aspects are harder for me: keeping up a blog and being interesting when really my head and heart are with my new characters and my new book, which is just coming into being. 7. KC: Are you working on a new book and, if so, what is the premise? MD: I am working on a new book. It’s the story of a woman who, at 43, discovers she’s pregnant for the first time, just as she and her long-term boyfriend agree to a separation so she can care for her 88-year-old grandmother who is suddenly having little strokes. It’s a story about the risks we take in loving, and the way that you can’t ever truly predict what your life will be. I think all my work is basically about finding our true lives and our real families, and the ways in which we can be surprised by the life that finds us when we’ve gone ahead and made other plans, to paraphrase John Lennon. Note: Part One of this interview (The Author’s Perspective; click on the link in the Recent Entries column on the right to read it) was posted on this site on August 30, 2011. 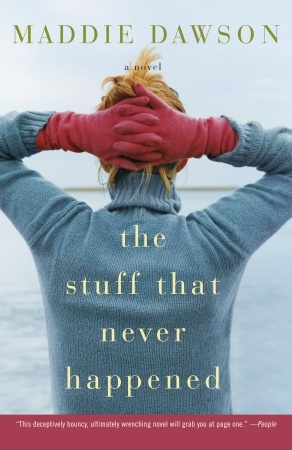 Maddie Dawson’s novel, The Stuff That Never Happened, is now available as a trade paperback release. This is, first, the story of Shoko, a young woman in Japan at the end of World War II who marries an American G.I. – one of the many occupiers of her island nation – and then moves with him to San Diego. In the USA she finds great prosperity, but also some loneliness accompanied by discrimination. Her transformation is assisted by a guidebook, printed in Japanese and English, labeled How to Be an American Housewife. The character of Shoko is based on the author’s mother, Suiko O’Brien, who told Dilloway that “her life would make a great book.” It does, and Shoko relied on a book that her American husband had given to her called The American Way of Housekeeping. The second story is the tale of Shoko’s southern California-raised daughter, Sue, a character who might be reflective of some of the author’s own experiences growing up. Sue is a divorced mother who perhaps does not properly appreciate her own mother until Shoko begin to experience serious health problems. Shoko understands that her time on earth may be short and she wants nothing more than to visit her estranged brother Taro in a village in Japan, one not too far from Nagasaki. As children Taro and Shoko were told that they shared the blood of the Emperor’s royal family. When Shoko, attempting to live on her own as a young woman, begins to spend time with a lower-caste man, Taro sees this as bringing shame upon their family. He vows to never forgive her, and Taro also hates the Americans who bombed his country; thus, Shoko’s marriage to an American (a”Charlie”) is another sign of Shoko’s betrayal to family and country. One one level this is about persons of one culture trying to find acceptance and peace in another one, one that is initially alien (“San Diego had become a foreign nation…”). This is true of a Japanese woman suddenly transported to the U.S. and of her daughter who, several decades later, finds herself in older parts of Japan. Shoko eventually finds the peace to state, “I became an American…” Sue makes a transformational journey to the Land of the Rising Sun with her own daughter and she finds that she’s “homesick” for a place she’s never been to before. The best scene in How to Become an American Housewife is the one in which Sue’s Japanese relatives take her to visit the Peace Park in Nagasaki, ground zero for the dropping of the second atomic bomb. When the bomb exploded over Nagasaki, Taro and Shoko were close enough in the nearby village to see the lights from the explosion and hear the sound. As Sue walks through the park, she comes to understand the horror of war, the terror of how it ended, and the fact that nothing can change the past. Dilloway’s characters come to understand, as we all must, that the pain of yesterday is no reason to destroy the present. This debut novel is an impressive tribute to one woman, a mother, who lived a true and large life. It is also a tribute to the best characters of people in two very different countries who, separately yet together, seek to find comfort in the noisy turbulence of life.